Nagasu means flow or current (like a stream). Practically Nagasu has ‘simply’ 2 meanings or ways to use. One is to parry the attack, the other is to let the attack pass your body. 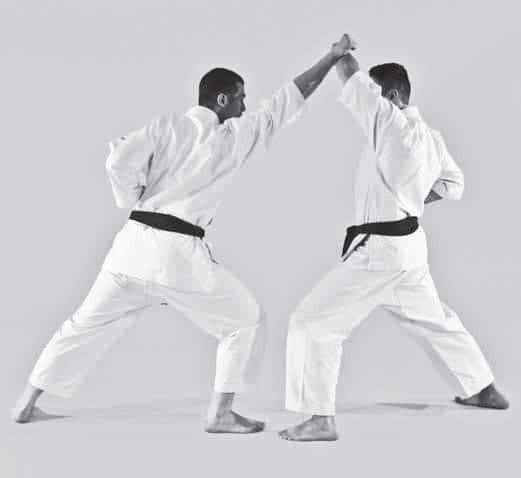 In the second movement of Kihon Gumite Yonhonme for example, you connect your hand to the opponents attack and then ‘weight’ your Shuto to pull the opponent into the direction of your Nagashi Uke. It means to parry. Nagasu is also known as to let the attack pass your body. Easily said, when you are ‘not there’ the attack passes the body. However, that could be either to escape or to avoid. 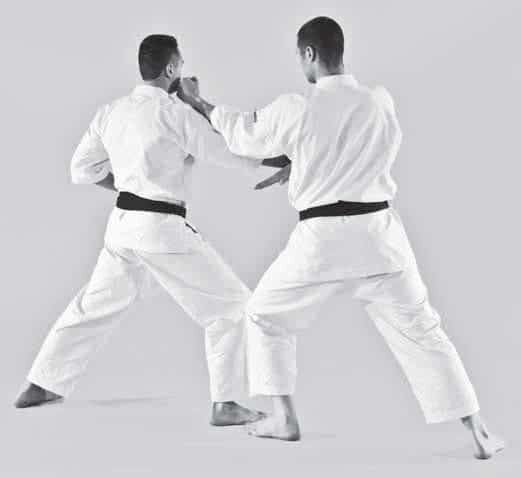 For karate, avoiding (Kawasu) is more proper as this means that you are within Maai to hit the opponent instantly. It is better to be hit slightly than to step to the outside. Stay close to the opponent. Nagasu is not something you learn overnight. 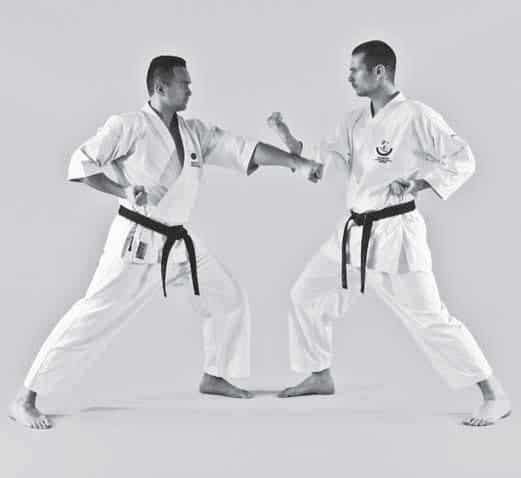 Ishikawa sensei shows you various applications and how to build your training step by step. Simply translate and say Nagasu is to let pass or parry is all you need to know. The rest is practise... BUT: It does not even come close to describing how to use your body. What, When, Why, How. What for... Get ready to dig deeper. Nagasu comes with body movenent, it can't exist without it. Remember Ten I, Ten Tai and Ten Gi? Ten I and Ten Tai together are what makes Ten Gi Nagasu. In plain English that means that moving your body and twisting your body are what allows you to avoid the attack. What dictates the logic movement of your arms. Then Ten Gi comes in. 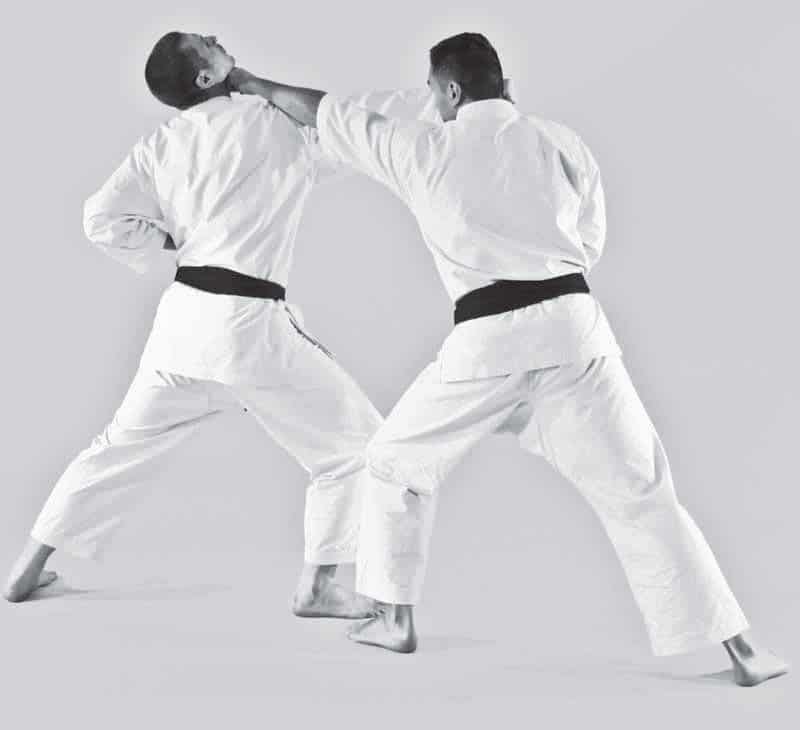 The following techniques are all applications of Nagasu: Use your body to avoid an attack, turn basic Uke Waza into Nagashi Uke and execute various types of Nagashizuki. 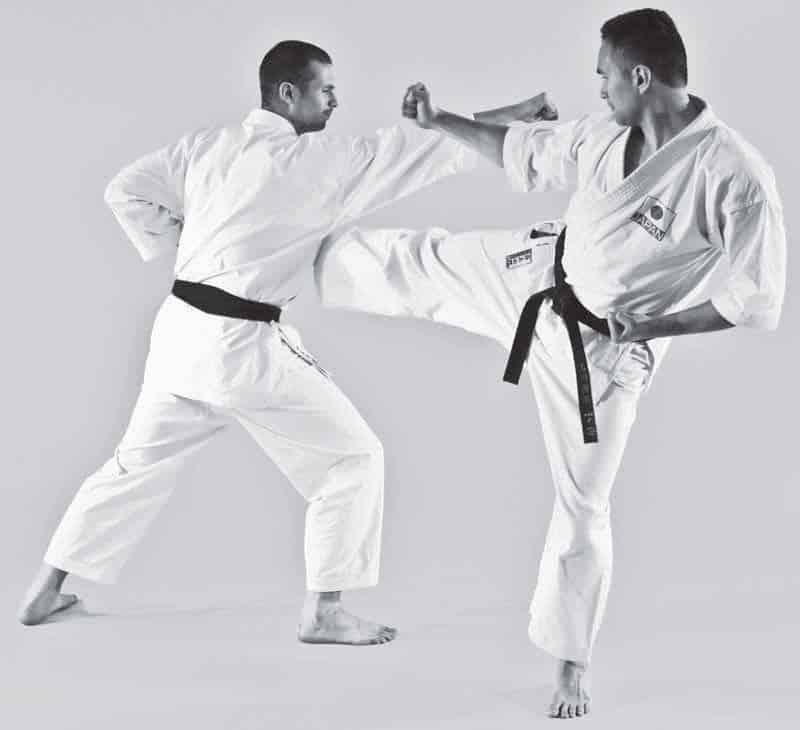 In order to execute it and be successfull you have to be calm inside and a good 'reader' of your opponent. And without fear of walking onto his punch. There are two kinds of Nagashi Gyakuzuki. This one needs Taisabaki as you know it and Noru. Basic Tobikomi-Nagashizuki has the Hikite in front of the chest. 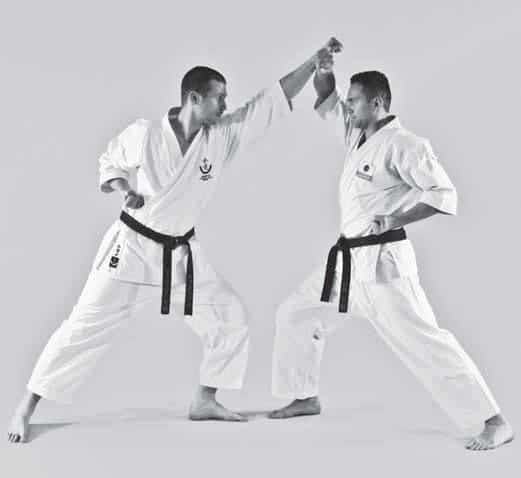 The meaning is to be able to block or cover either Jodan or Chudan depending on circumstance. In this case it's Jodan. 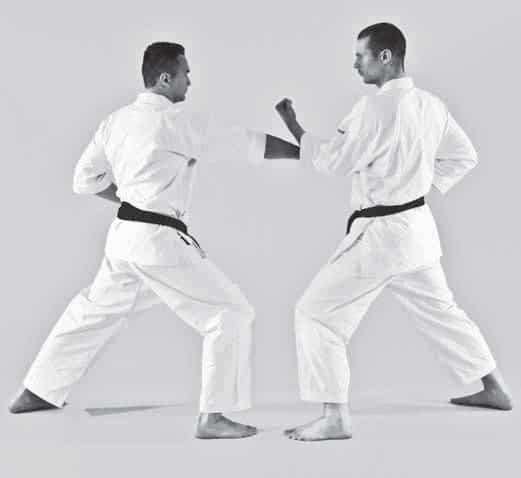 There is a difference between Kihon and Kumite. One key is to not keep the punch in the extended position. In that sense, Nagashizuki from Ido Kihon is already an application. 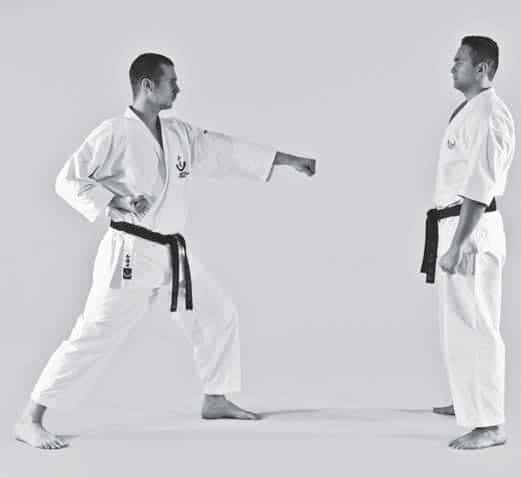 When dealing with an opponent, it's necessary to understand how you can apply basics and connect one technique to the other. It's never wise to wait for trouble to start and then react. Control. And do so in early stages. 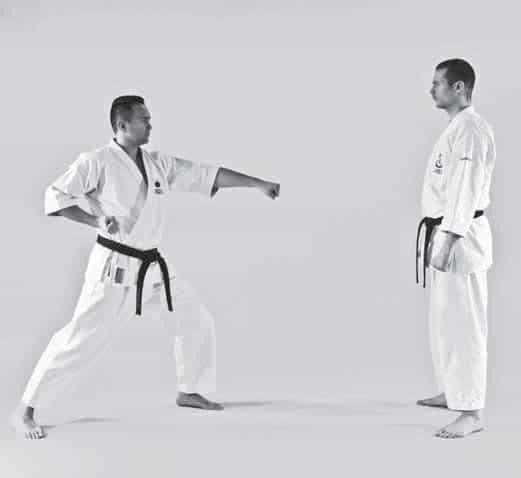 This Kumite teaches you how to use your lead hand to control and intercept early on while attacking at the same time. The tip of the elbow. The timing. The angle... It's all a bit different from Nagashizuki vs a Chudan attack. Here's how to take advantage of that and what you should do.